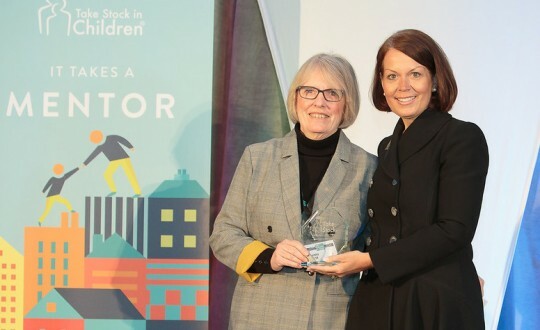 Jeanne Meyer, a 13-year mentor in Escambia County’s Take Stock in Children program, was chosen as the statewide Mentor of the Year and was honored at the recent Take Stock Leadership Summit in Tallahassee. Meyer has mentored six different students, including several at Tate High School, since 2006 and has been a huge inspiration to all of them. Of the five students who have graduated from high school, two have obtained college degrees and three are still in college. She has started mentoring another high school student this year and is excited to be able to help another student on the road to higher education. “Now that I am in my third year of medical school, I have learned that many friends will come and go, but some people are fortunate enough to have some friends forever and Mrs. Jeanne has been one of these people for me. We still talk on at least a monthly basis despite my being in a different city for the last six years,” said Daniel Pierce, 2012 Tate High graduate. Born and raised in Oak Park, Illinois, Meyer graduated from Michigan State University and became a teacher in Detroit. Jeanne moved to a number of communities in Illinois, Colorado, and Wisconsin, raising two children while expanding her professional experience through positions in editing, finance and sales. Her dream job happened in Milwaukee where she opened her own independent bookstore. After moving to Pensacola in 2004, Meyer wanted to volunteer in her new community but hadn’t found herself drawn to a particular organization. While attending a luncheon presentation about Take Stock in Children, Meyer heard the description of Take Stock’s mission and program. She was inspired to play a part in transforming the lives of low- income students through “scholarships, mentors & hope” and signed up to become a mentor in 2006. “Ms. Jeanne quickly became my favorite person to talk to. She was by my side through some of the toughest times and some of the best times of my life. Our talks were always personal, and she always listened to everything I said with an open mind. She always had a way of making me smile,” said Olivia Brown a 2018 Tate High graduate. 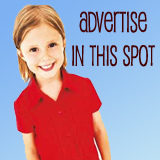 Take Stock in Children is a statewide nonprofit which operates locally under the Escambia County Public Schools Foundation. Students are selected at the end of sixth grade through a need-based application process. Selected students sign a contract to keep good grades, attendance & citizenship and remain crime and drug free. In return, students receive the support of a caring mentor, college readiness services provided by the college success coach, and a college tuition scholarship upon high school graduation. Donations for scholarships come from businesses, foundations, organizations and individuals and all donations are matched when scholarships are purchased from the Florida Prepaid College Foundation.